Discover the charm and peacefulness of Caye Caulker’s original beach resort on the Caribbean Sea, just one mile from the Belize Barrier Reef. Enjoy the beautiful white sandy beach. Relax and let your worries drift away as the gentle Caribbean breeze tans your skin and our friendly staff pampers you. 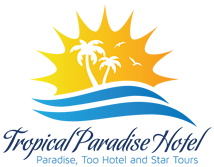 Our 25 Rooms for Families or Singles were designed with your needs in mind: Some of the rooms have A/C and tubs, Sunset rooms with balconies, Large tropically-decorated property for our guest’s enjoyment.